Can a Non-Engineer Public Works Director Make Engineering Decisions? Over the last few days I’ve been once again attending the Illinois Public Service Institute, a three-year training program for public works professionals in Illinois. Last year, I wrote a post about the incredible experience I had in my second year, and over the next few days or month, I am hoping to write a few articles about what I’ve learned this year. A licensed, staff engineer develops a design for a set of plans that eventually he or she will stamp with their license. Their direct supervisor, the city engineer, who is also a licensed engineer, disagrees with the design and proposes a different design approach. Because the two engineers cannot come to an agreement, they take both design ideas to the city engineer’s supervisor who is the director of public works and who is not an engineer and who does not have any engineering training. Both engineers present their designs then allow the director to choose which one will be used for the plans. I do realize with both engineers being licensed, most likely both designs are acceptable. However, if the decision is entirely based on the engineering merits of the design, how is someone who has no background or training supposed to be capable of making that decision, and is it ethical or professional to be doing so? Also, I wondered does it make a difference if the staff engineer is stamping/signing the plans? I would think ultimately the city engineer, if an appointed official for the city, is responsible for the department’s designs, but the staff engineer seems to carry the professional liability for the design if he or she is stamping the plans. I was curious what other engineers would think of this so would be very interested in hearing opinions or ideas or past experiences or policies related to this scenario. Will There be a Water Crisis in Next 10 Years? Most observers believe a water crisis threat to be one of scarcity, but there is another crisis at hand for Earth's many inhabitants living without regular access to drinking water and sanitation. However, global water mismanagement unfolds continually which does not bode well for the future – regardless of where you live. As we strive to accommodate those who are suffering from a lack of access, we must also turn our efforts toward conservation and other measures to protect global water resources for future generations. Understanding the scale of water use goes beyond our individual daily concerns. Personal use accounts for a significant portion of the water used, overall, but this is only one aspect of the big picture. In fact, domestic water use accounts for roughly ten-percent of total consumption levels, so household personal water use accounts for a relatively small portion of the total water used; especially when compared to agricultural and industrial use. In each of the primary water usage categories: Agricultural, Industrial, and Domestic; there is room for management improvement leading to more efficient use and conservation of water resources. Shifts in the way we farm and eat, for example, hold the potential to greatly diminish the amount of water used to produce food. Simply moving toward a plant-based diet, with less acreage devoted to raising beef and feed crops, would have a significant impact in itself. Averting a water crisis starts with recognition that water is a scarce and limited resource which must be protected and conserved. Responsible water management requires commitments from users, who must alter their behavior to successfully lower consumption levels. Until the commitment becomes widespread, the status quo will continue to support water waste. Pressure from pollution, industrial expansion, and population growth has led to water usage that is not sustainable. In addition to scarcity, the quality of the world's water supply is degrading as we continue to draw on water resources. A significant share of the world's wetlands have been lost to farmland or other development, for example, and some of the world's great rivers no longer complete their flow to the sea. Once water usage is quantified and the resource is recognized as a scarce natural supply, there are only two ways to address shortcomings in the world supply: Find more water or use less. Consumption levels cannot realistically carry forward at the same rate; especially in light of population growth and forecasts accounting for future demands. As a result, synching our human needs with the natural planetary resources provided is the only way to avert a water crisis. Effective management works the equation in reverse; claiming only the amount of water that is sustainable, rather than continuing to deplete future resources. In addition to incremental conservation efforts conducted by individuals, water management reform relies on strong leadership. Legislators and other global decision-makers are tasked with crafting policies that influence how water is used in industry and agriculture, which account for a vast majority of the world's water usage. The world's population continues to grow by around 80-million people annually, so the current water usage model is unsustainable for a growing set of users. Lawmakers and global organizations can no longer leave water issues for subsequent generations to remedy; water management must be prioritized as a global concern. Global water mismanagement has set the stage for a water crisis more widespread than today's regional lack of access to fresh water. Conservation, effective water management, and changes in the way humans use water are promising strategies for heading-off catastrophic consequences. This is a guest post by Sarah Brooks from Freepeoplesearch.org. She is a Houston based freelance writer and blogger. Questions and comments can be sent to brooks.sarah23 @ gmail.com. What I've come to realize over the course of my career is that there are some male contractors who will accuse engineers/inspectors who are women of using the F-word in an effort to discredit them or get them into trouble. And I think the recent reaction to the use of this word by a U.S. diplomat (Top U.S. Diplomat Launches f-bomb on EU in leaked recorded conversation) is a good example of how effective this accusation can be. Also what I've discovered is that contractors will use this tactic whether the word is actually said or not. The reason I know this is true is that I never say the F-word. Actually I did use it for a short time when I was probably 14 years old until I realized, at least for me, it did not add to the conversation, and I did say it once on the job in 1993 after spending a whole year being harrassed by a contractor in every manner possible including having them regularly exposing themselves to me and having the equipment operator regularly swing the arm of the exavator at me in an effort to intimidate me and get me to back down on my responsibility. So on the first day when they showed up for the next year, I told the main perpetrator in front of everyone I would not stand for the same treatment, and on that day I did use that word. Of course they complained to my supervisor. Fortunately he backed me up – probably because he was aware of how I had been treated, and I had no problems at all that year. But even though, except for that one time, I have never said it over the course of my career, I've had several contractors complain to my supervisors that I had. Fortunately almost all of my past supervisors knew me well enough to know it is a word I absolutely never say. They had seen me in every sort of situation and knew for a fact it was just not the manner in which I respond to things. So when a contractor tried to tell them I had said the F-word, they might as well have been saying, "I'm a big liar who is making up a story in an effort to get someone in trouble so you won't believe her anymore and I can tell you more lies to convince you to pay me for something she is telling you I did wrong and shouldn't be paid for." Unfortunately I did have one supervisor with little to no construction experience who seemed to fall hook, line, and sinker for this. And this is why contractors use this tactic – it sometimes works. I guess I never really thought too much about why it works until I saw what happened with that diplomat. Now I'm thinking it works because our society appears to view the use of the word with a double standard – it is ok and expected to have men say it, but not women. At least I know this is the case on construction. Over 30 years of working on the jobsite, I heard it all, including the F-word, on a very regular basis. Some days I would hear it said so much, the word just faded into the background with all the others. And I never heard anyone on the construction site say, "excuse me, I find the use of that word offensive and would appreciate it if you never used it out here again." Absolutely no one ever appeared to be bothered by its use (including myself) nor did they ever even draw attention to it – they just seemed to take it for granted that people said it. So if men can regularly say the word and other men never are bothered by it, I am wondering why we have this double standard that penalizes a woman for saying it? And it appears the exposure of a woman saying it will cause such a negative reaction that contractors have figured out that even lying about a woman saying it with no proof at all is enough to cause major problems for that woman – at least if her supervisor is the type to fall for this kind of thing. I think the key point to realize in all this is that the contractors who are complaining about a woman who says the F-word are not truly offended by the expression – after all their crews are using the word regularly on the jobsite. It's that these men are deliberately calling out a woman out for saying it (or making it up that she did) while they would not think to expose or accuse a man of saying it. Which makes me wonder about the diplomat's situation. I think if she had been a man and this had happened I think the public would have still thought of it in a negative manner. Whether the diplomat is a man or woman, it was not a diplomatic thing to say. But she is most likely not the only person – male or female -in that type of position who is using that word. So even with her it is the same issue – no one is thinking to expose a man who says it – it is only considered as a tactic when women are the target. Unfortunately it has taken me years to figure all this out. Initially I had thought contractors were just assuming I said it because a lot of people do and adding that complaint to their overall objection to me requiring them to perform the work they were hired to do. But after the last time I had something like this happen, I finally realized contractors who do this were actually purposely lying as a strategy to get me in trouble or discredit me. Because my new job does not require me to be out on construction, I had thought perhaps I didn't need to worry about it anymore. After all, I had not ever read about or heard of any group outside of contractors doing this. But after seeing what happened with this diplomat, I am wondering if it is a pervasive tactic used by anyone in any field who might see an opportunity to benefit from it. Fortunately there aren't a lot of contractors who resort to this tactic. But as long as this double standard is in place, I'm left wondering how we, as women, can best protect ourselves from being the target of this. As someone who does not say the word at all, my experience shows that just not saying it isn't the answer. 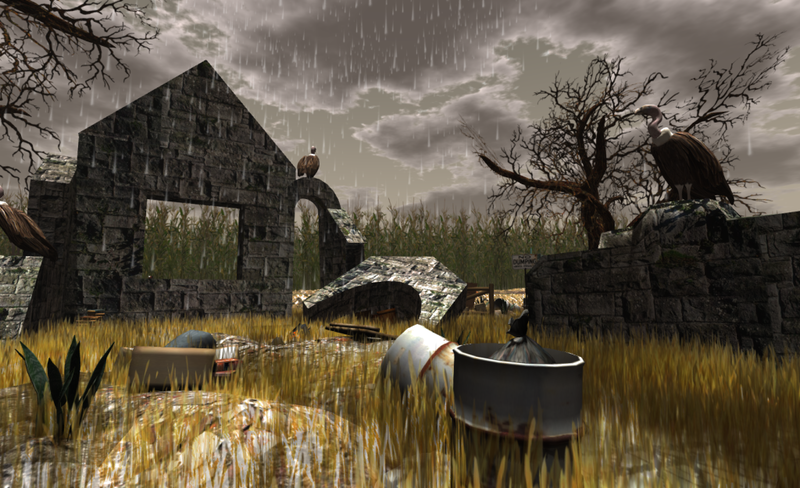 Over the last few days I've been reading the responses to the departure of Rod Humble, the CEO of Linden Lab – the company that owns and operates Second Life. Here are a few sites where you can find some in-depth and thoughtful discussion. What struck me in a few of these articles is once again the similarities between local governments and Second Life. In at least the first two of these posts, you could replace "Second Life" with "local agency" and most of the article would still apply. 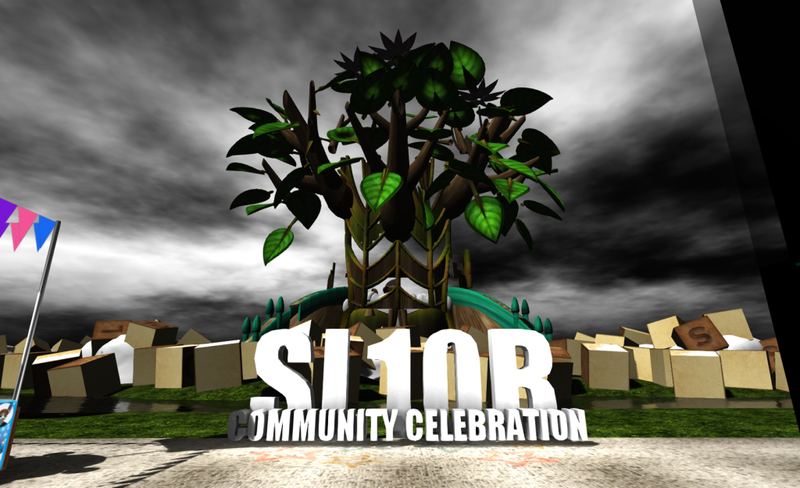 There are also many interesting points and suggestions made in each article related to leadership and management of a community and specifically Second Life's community. The comments in these posts got me thinking about what qualities I believe a good leader of a virtual community should have. 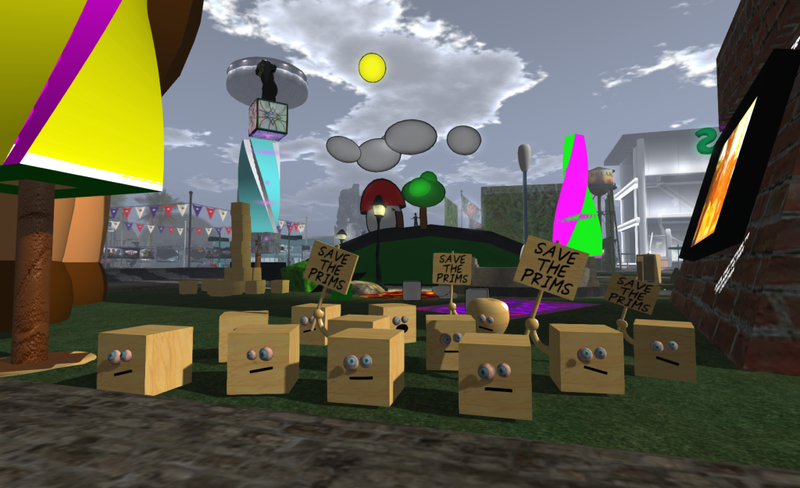 So I am adding my own voice to the others now discussing the future of Second Life. The points presented below are merely observations I have made from working about 30 years in and for local government, being a member of the Second Life community since late 2006, and actively reading and listening to opinions, thoughts, and ideas from other Second Life members including those from the articles listed above. This is one of the suggestions I got out of reading the post written by Will Burns. In it he points out that companies can end up with a leader who does not allow any voices of opposition or criticism. And as you might expect, this can lead to poor decisions, mistakes, and failed ventures. This is exactly what can happen with a city – a poor leader who is put in place through either an election or through appointment who refuses to consider any suggestions or comments that do not agree with their own will eventually prevent their city from innovating and growing at best and at worst will diminish its appeal, stability, and sustainability. In some cities, like in some companies, the population will realize something is amiss and will replace their leadership through an election. Other times, the citizenry is left unaware of the actual cause of the community's decline and the leadership remains in power. While I don't have insight into the type of leadership at Linden Lab that Burns might have, I do agree the best type of leadership for any company or agency is one in which opposing views are not blocked or dismissed with absolutely no consideration. I've also worked at cities where people like Will Burns regularly challenged us, and he is correct to conclude having someone questioning leadership can help motivate and compel an agency/company to improve as long as the leader is willing to listen. This doesn't mean leadership ends up always doing exactly what is suggested, but more times than not, the challenge forces the agency/company to do a better job at making and thinking through decisions. Decision makers are not obligated to, nor should they perhaps, always follow the recommendations made by an advisory committee. Yet they need to keep in mind that constantly choosing a path in opposition to a committee's recommendations will devalue the purpose of the committee and can risk alienation of its members. If that is happening, it is many times a sign of disconnect between the leaders and the community and both need to work on finding common ground. These positions are typically held by volunteers from the community so that the committee members bring a more community-based viewpoint to the table. But consideration needs to be given in choosing these members so they are not those who will only use their position to improve their own interests at the expense of the community. 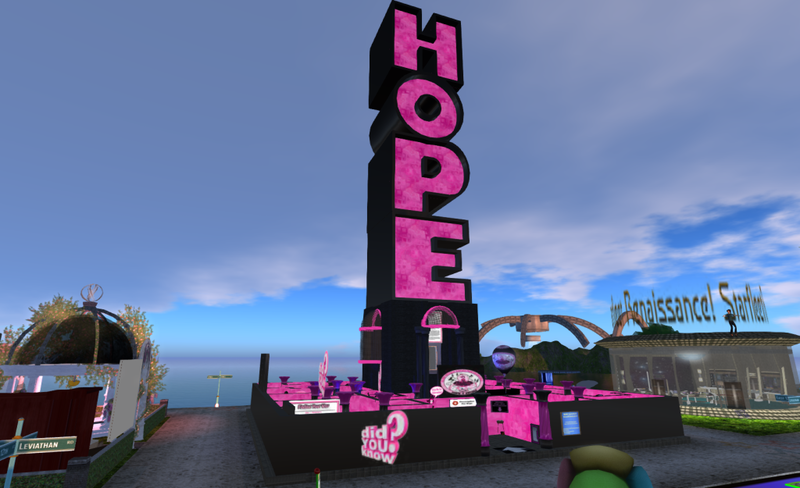 Usually more than one committee or board is necessary, and for Second Life with its diverse and unique community needs, this seems even more true to ensure the majority of needs and aspects of the community are addressed. Committees and boards are supported in their efforts by the decision makers. If necessary this would include financial support in a manner similar to what is done with the Linden Endowment for the Arts. This probably sounds crazy to most business people, but the critical need for this type of leader when the product involves community services makes me wonder if Linden Lab would do best to choose their next CEO from the pool of those who have served as popular and effective mayors. After all, they understand and have experience with leading and managing a community while effectively handling finances and still delivering projects and meeting needs of citizens. Some might suggest along this line of thought a city manager is better suited. But while a chief administrator of a local government might be able to manage a company, they normally lack the community engagement skills elected officials seem to naturally possess. The other critical skills needed by leaders are the ability to show great passion and belief in their community which is why leaders are best chosen from within. One of the primary reasons for this requirement in a leader is that communities, including Second Life, rely on financial investment and economic stability to succeed. Using a city as an example, if I own a major corporation and am looking for a community in which to build my headquarters or base of operation, which city would I pick? In Strong City, I meet with the mayor – an outgoing, engaged person who makes me feel welcome throughout my entire visit. As the mayor describes their city and its benefits, I sense a strong passion and love for the place from this person. The mayor shares commitments and efforts made not only by the government, but by the private sector to improve, innovate, and grow the area. There is a care and dedication to the needs, assets, and future of the community and its members. The mayor also describes the involvement and engagement of the members of the community in many different areas. I leave with the idea this is a place that is focused on constant improvement and the needs and involvement of its members. In Weak City, I meet with the mayor – a quiet person who makes me feel as if there is barely time in their day to accommodate our meeting by avoiding eye contact and glancing at the clock. The mayor's voice lacks concern or regard or passion for the place – instead I receive a canned description of what they can do for me and the requirements I must meet to set up shop there. It is all business with little to no discussion of the sense of place or community. The mayor rarely mentions the population or does so in a dismissive and annoyed manner. If both places are competing for my investment, I am probably more likely to choose Strong City as the site for my new headquarters. Why would I want to invest in a community where even the leader does not seem to care? A positive leadership approach can also extend to attracting people and visitors to your community – not just businesses. I've been meaning to write a whole post about this since over the last year, I've come to discover how much of a key the bell curve is to most things that happen to us. But to sum it up in a short paragraph specifically as it relates to a community, good leaders realize the bell curve can be applied to members of a community – those on the left side represent the negative people in the community. You will never win them to your side so quit trying. Those on the right represent community supporters and fans. There is nothing more you can do to win them to your side – they are already there and will always be the community cheerleaders. The key is with the middle or majority of the population. They can go either way and will based on what they hear and see or sometimes who gets to them first. That is the group upon which you focus your attention and resources. I will add here that when this concept was first presented to me, I thought it at first harsh, but since that time have had it explained to me from several unrelated angles. I now believe understanding the bell curve is a crucial part of managing or running anything, but will save the entire discussion for a full post because it is a fascinating yet potentially scary concept I really want to explore. It is too bad these misconceptions about local government exist in people's minds because if Linden Lab would really look into how much they operate as a local government, they would find numerous resources in the local government sector to help them in their management and understanding of and service to the community. They would also find organizations, associations, and millions of other government employees who do understand exactly what they have on their hands and who would freely share tips and advice on managing it all. For years I've been writing posts on this site about the parallels I've noticed between Second Life and local governments. So much so that I begin to think people are probably tired of reading about it. 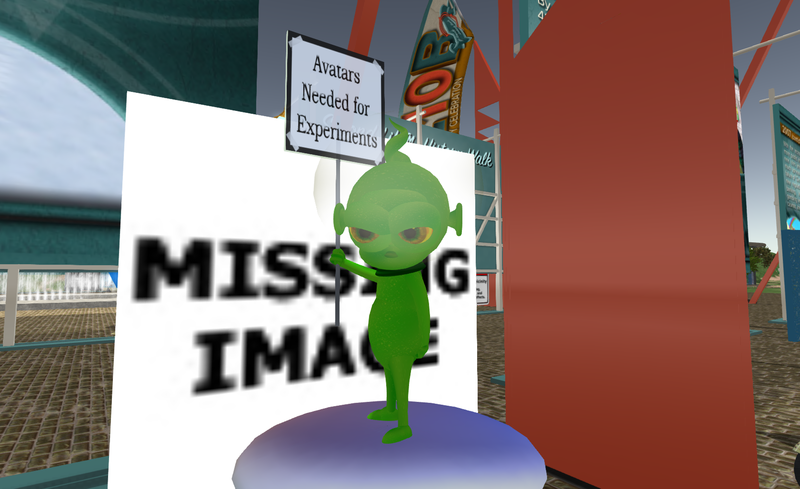 Those who aren't in Second Life or haven't visited a virtual world probably can't relate to the comparisons nor imagine how something like a virtual world can possibly function as a true community. 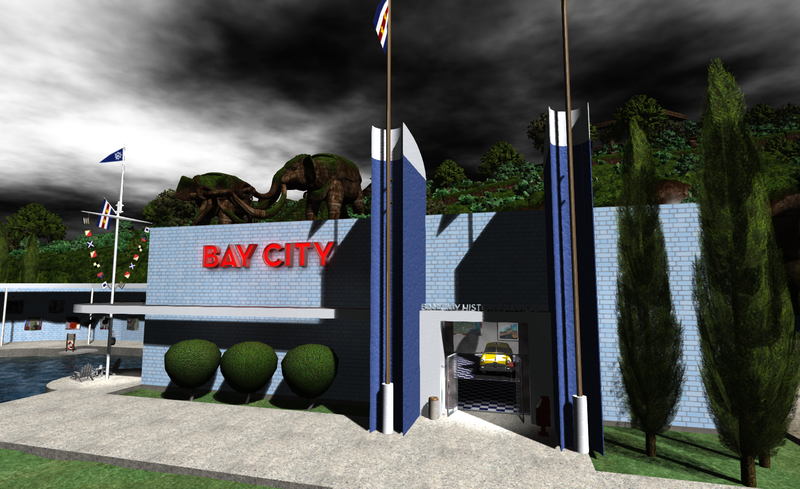 As for those who are members of Second Life, I don't think many are local government employees and if they are like most people, at least those in the U.S., they don't pay a lot of attention to exactly how local government works. So the end result has been that I'm not sure I've done very well in convincing people of this overwhelming similarity. But I continue posting articles about this topic because the similarity is so glaringly obvious to anyone who has worked in local government right down to the problems and issues that arise because the company has not adopted good local government management practices. A while back, my frustration built to a point at which I moved forward on the one action I felt I as a member of the community could take which was to initiate and help prepare a comprehensive plan for the community. While this started out well, I was forced to slow down the effort last year about this time when I accepted a job offer from a different government agency. If it had been a move to a similar type position, I don't think I would have had to suspend much of what I had been working on, but my new job involved performing in an entirely different function within a whole new framework. It was and continues to be a tremendous opportunity for me so I've been focusing most of my time and attention on getting up to speed and working hard to maximize the value of my work. Over the last year, I was able to complete a few of the other commitments I had already made prior to taking that job, but they were short and didn't involve as much time and effort as a comprehensive plan for a virtual community. Now, after spending almost a year getting familiar with my new job, I finally feel more comfortable getting back involved in developing the community plan. 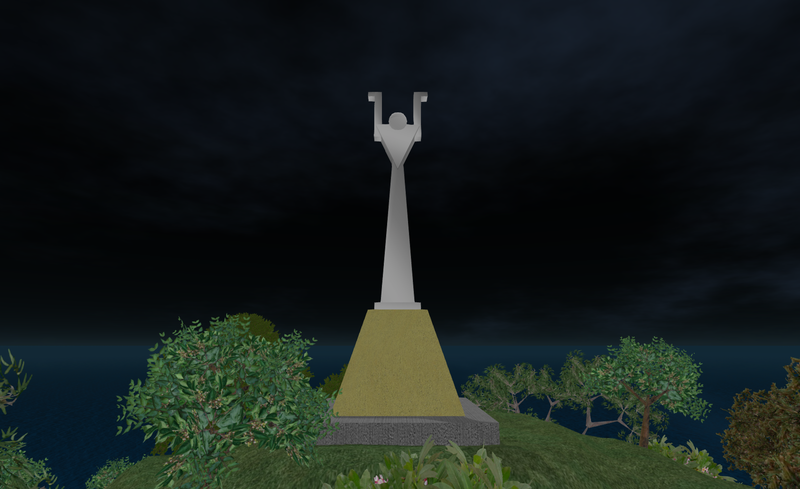 And with the recent loss of the CEO for the company that runs Second Life, I have even more reason to dedicate the time and effort to complete this project. If you want to follow its progress, you can visit the Virtual Vision 2020 website. A draft of the introduction section of the plan is under review and will be posted there in the near future for community review and comment. 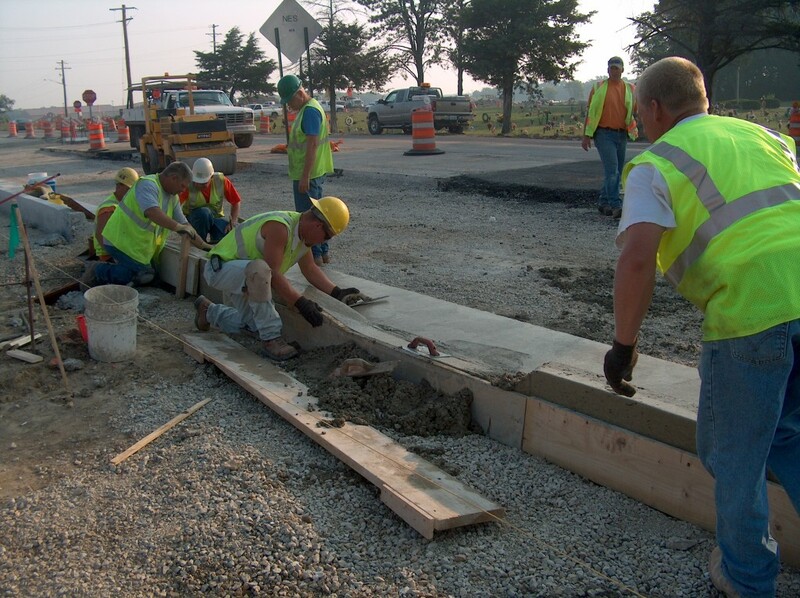 IPSI – Public Works Management Training that Works! I just returned from spending a week at the Illinois Public Service Institute – "a three-year training program which provides instruction expressly designed for public service professionals." Since this is my second year of the three-year program, I thought it would be a good time to share my experiences with others who might be considering attending in the future. I don't know how other professions handle training of their managers, but in public works, those of us who advance up the ladder rarely receive formal training to prepare us for our new supervisory roles. Some agencies send managers to an occasional class, and some might have personnel who have taken public administration classes. But rarely does this type of training really prepare people for handling the public works industry. It just doesn't fit the traditional public works place, so if you haven't worked it, you won't get it. 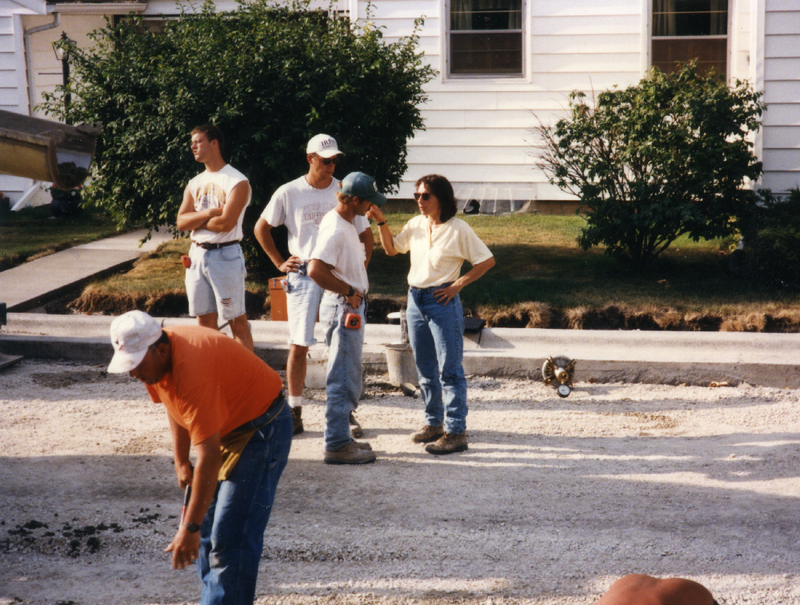 Fortunately 12 years ago, the Illinois and Chicago Metro chapters of APWA decided to fill this training gap by setting up IPSI. The result has been effective supervisory training for public works managers by public works professionals that just works. Before I attended last year, I'd heard all the stories about how wonderful and amazing IPSI was. Frankly I was skeptical. You know how it is – you've been to all those classes that promise to miraculously transform you into a management superhero. But in the end, most of what you learn just doesn't work in the public works environment. Not only don't they understand how we are set up and how we deliver services, but they don't get the structure within which we work which presents specific types of challenges. IPSI is different because the content is approved by a committee of public works professionals and delivered by Dr. Lew Bender – an educator with extensive experience in training managers in the public service sector (and who is assisted by his amazing wife, Mary). Performance appraisals – we learned how to conduct them to ensure the maximum benefit for everyone. We also learned how to work within the current appraisal framework we have if we were not allowed to change it. Business etiquette – Maybe other people get the "Miss Manners" training at home, but my parents were simple folk who never taught us what all that silverware on the table was for and what order in which to use it. Fortunately for me and others who lacked this training, this session took care of filling us in on the details. By the end we were more aware of the entire process of conducting business over a meal along with other business etiquette knowledge. Communication, law, and the service culture – for the law portion of this group of sessions, we had an attorney visit to fill us in on important laws that affect our work. That's another aspect of our jobs we are rarely trained in yet are expected to just know and understand so it was good to get this information. Workplace safety – this was a great session that showed us how to try to avoid and if necessary respond to a threat. Although I'm thinking I'd really rather not have to put any of this training into practice. Managing Problem Employees (or problem children – PCs) – PCs are always a favorite topic because it seems too many people have some of these folks working for them. Some surprising information I got from the class was that PCs can take up a rough average of 40 to 75% of a manager's time. It was also uncanny how closely Lew described their behaviors – almost as if he knew the people personally. The most enlightening thing I learned was that PCs think of work as some type of fight for the "pie." If they actually perform some task you give them, it's like allowing you to take part of their pie. So they do whatever it takes to make sure they get your part rather than give up theirs. I had always thought everyone was thinking: this is work, we have tasks to complete, and we do them. Now it makes so much more sense – it's not about work at all to them. It's all about guarding their pie. Successful communication and employee loyalty – this was a full day session with Doug Cartland. If anyone has seen him talk, you understand how completely motivational and interesting this day was for us. Strategic Planning – I am absolutely fascinated by this topic and in understanding how teams work together in planning. What was particularly interesting in this session was how I could relate it to conducting this type of exercise in a virtual setting. Most of the issues that hijack a strategic planning session are easily knocked out of the way by instead conducting the planning in a virtual setting. Of course we didn't have that choice here – totally face to face. So those were the session highlights for me. But there is one other significant part to IPSI you won't get from the class schedule – the people. It really hit me this year as soon as I walked in and lasted until the minute I left. There is a closeness and bonding that takes place during the entire week that I'm not sure is obvious at first. It kind of sneaks up on you without you realizing it is happening. All the shared experiences in class, the jokes, the fun, the learning, the sharing of ideas and challenges, and the sharing of meals and time together build relationships and bonds we would not otherwise have. In the end for me, that's a priceless gift I hope I never take for granted. Because of it, we no longer feel alone or that we have to face our battles without help. We may be urged in class to constantly think "what hill we want to die on," but once we choose, we go there knowing we won't be rushing the hill alone. 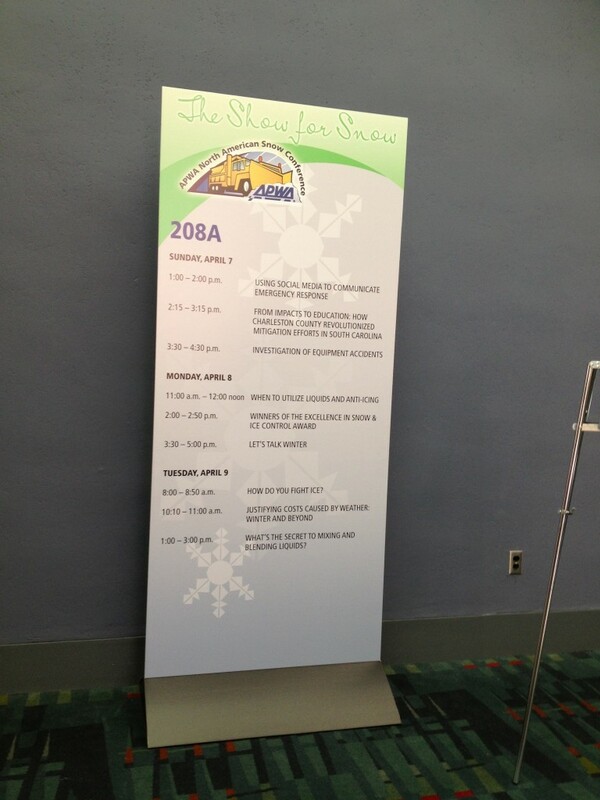 Yesterday Dave Lawry and I presented Using Social Media to Communicate Emergency Response at the 2013 APWA North Amercian Snow Conference in Charlotte, North Carolina. It was fun to give the presentation with Dave because he had some interesting first-hand experiences with implementing social media as a communication tool, particularly during snow operations. 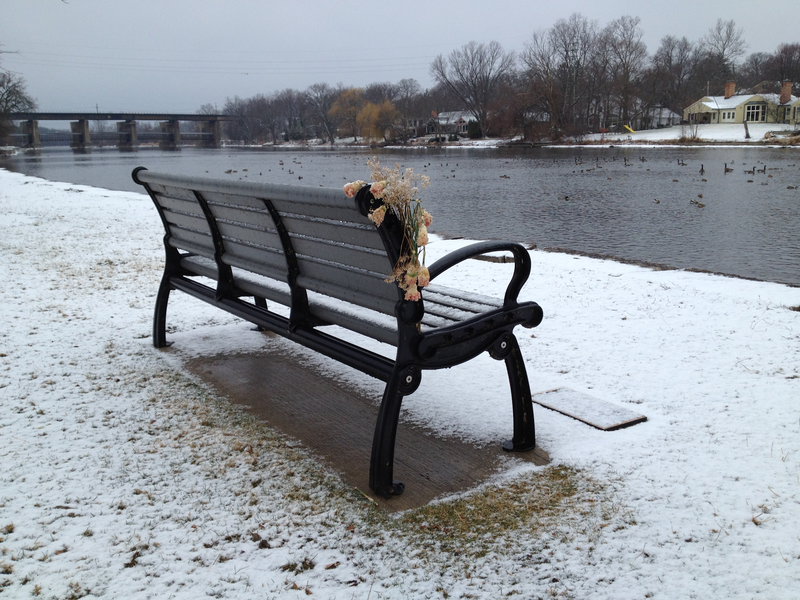 His stories came from when he was serving as the Director of Public Works for the city of Elgin in Ill. – some of what they had done has been covered by this blog over the years. About a year or so ago, Dave moved on to take a position with Chastain and Associates. But even though he is no longer with a city, he continues to encourage and help others in local government with figuring out how best to implement the use of social media. Today Dave led a roundtable discussion at the conference to further explore the topic and share thoughts. 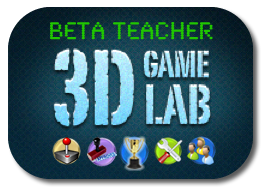 He sent me an email and said, "The followup round table was well attended today with two from the class yesterday wishing to continue the discussion. My table was full." Even though I would have liked to attend, I had to return to Illinois because of other commitments so missed the discussion, but I am sure based on the questions we got yesterday it was helpful and informative.